Two things we don't seem to have a shortage of in our area at the moment. 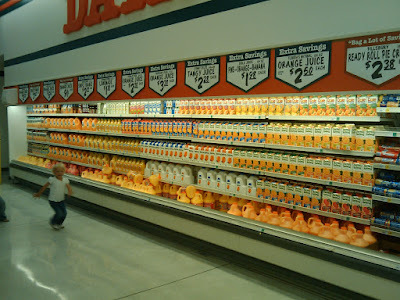 I was really taken aback by the wall of orange juice options. And grateful! 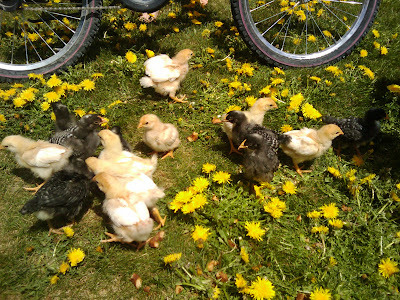 I would say a third thing you are not lacking is dandelions. Ha ha.